You know the couples out there that just seem to be undoubtedly meant for each other? The ones that are like two little perfect puzzle pieces that fit seamlessly together? Those real and true soulmates? Well, that is the only way for us to describe Aiden and Michele! From the moment I met them, it was easy to see that Aiden was absolutely smitten with Michele and she was completely head over heels for him. They had that first-love bliss radiating from them that was undeniable! 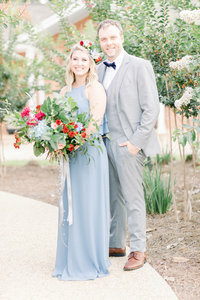 As high school sweethearts from a little town outside Atlanta, Georgia, they couldn’t wait to graduate and start the rest of their lives together. Aiden proposed to Michele on their five-year anniversary of dating at the same little restaurant he’d taken her on their very first date! How romantic, right?! 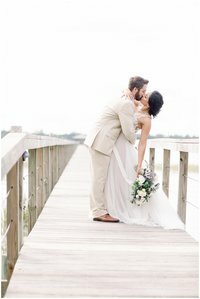 As they told me how their love story began, I was hanging on every word and couldn’t wait to hear more! When they asked me to be their wedding photographer and to be such a special part of their Big Day, I was honored and grateful to have the chance to add to their continuing romance! 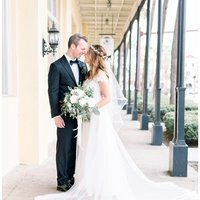 Their fairy tale love story was exactly what encouraged their enchanting Fall Fairy Tale inspired wedding day. With rich fall colors, sprawling greenery and incredibly charming wooden waterwheels, The Cotton Gin in Atlanta, Georgia made a remarkable place for such a remarkable couple’s I Do’s! The Cotton Gin’s antique industrial feel was combined perfectly with its modern design elements, making their venue feel like something right out of a storybook! There was such beauty captured in the undeniable love that Michele and Aiden share and I felt like family after the wonderful weekend I got to spend with them and their guests! Thank you for letting me into your love story and in true fairy tale fashion, I hope you both live happily ever after!